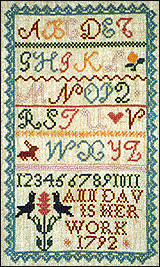 These charming designs are from Rose Tree Samplers. 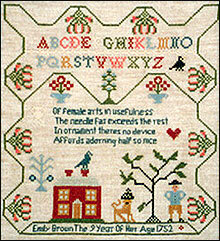 Since they are out of print, they will no longer be available when the current supply is depleted. 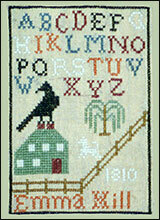 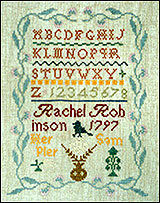 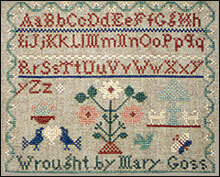 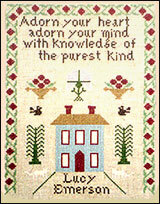 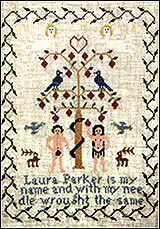 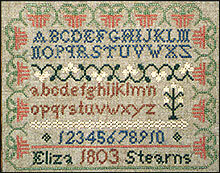 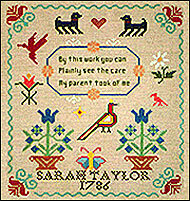 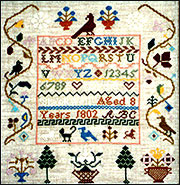 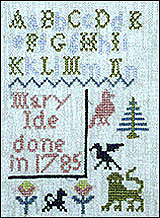 The designs, typical of early American samplers, are done entirely in cross stitch.